Over a year ago, Sen. Susan Collins called the impending repeal of the Affordable Care Act’s individual mandate “the biggest mistake” in the Republican tax bill, asserting her “hope” the provision would be dropped from the bill. The following month, she cast her lynchpin vote in favor of the tax bill, which included the mandate’s repeal — exploding the deficit and deliberately undermining the Affordable Care Act, all to give lopsided tax cuts to the wealthy. Her vote ensured the bill’s passage and her vote has led us squarely to today, with the fate of hundreds of millions of Americans’ access to health care at stake. The vote also perfectly encapsulates who Collins has become: someone who increasingly toes her party’s line despite the harm it causes to Mainers. 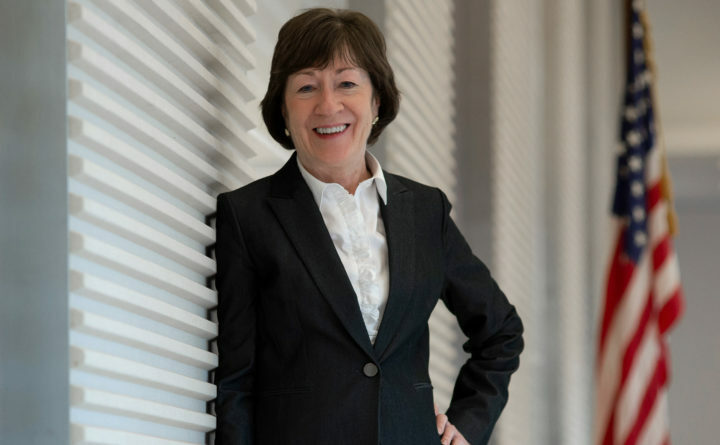 When the tax bill was under consideration, Collins said she had received assurance from Senate Majority Leader Mitch McConnell that he would support two pieces of bipartisan legislation to stabilize the health insurance market before the end of last year. The idea, Collins told us, was that these proposals would offset the increase in health care premiums that would inevitably follow a repeal of the individual mandate. In March, Collins faced a last-ditch effort to get her bills included in the government funding bill. Though she found Republican colleagues to support the idea, they would only do so if the language restricted additional funding for any plans that included abortion coverage. This provision, which went beyond the requisites of the Hyde Amendment, was a clear attempt by Republicans to sink the bill. Unsurprisingly, the spending package passed without the stabilization bills, and Collins admitted she had failed to get the deal across the finish line, blaming House Republicans and Democrats. Her last genuine effort to see her stabilization bills through was in March. Since then, there has been virtually no movement, and most people have forgotten about the bills. Today, the repercussions of Collins’ vote on the tax bill, and her inability to subsequently pass the bills she promised, are clear: Corporations have funneled their tax savings to their shareholders, not their workers or consumers; the wealthiest Americans continue to pay less than their fair share in taxes; and the national debt is forecast to increase by $1.9 trillion. But perhaps most disturbing is that Collins’ vote opened the door to a federal judge’s ruling in Texas on Friday, which, should it stand, would fully repeal the ACA, taking us back to a time when insurance companies could jack up premiums or deny coverage to Americans with pre-existing conditions, when drugs were more expensive for seniors, when women and seniors could be forced to pay more based on their gender and age, and before Medicaid expansion brought coverage to 15 million low-income Americans. Yet, one year later, and with her bills no closer to passage, Collins continues to fall in line with Republican leadership on important votes, and has mounted no serious challenge to them. In reality, Collins’ vote on the tax bill was a “very serious breach” of a promise — to us. Mainers deserve a senator who will stand up for them — and herself. Sara Gideon, D-Freeport, is the speaker of the Maine House.